Tech Tree Inc. is leading supplier, whole Seller and Distributors of Network Video Recorder. We are successfully meeting the varied needs of our clients by offering a wide gamut of 32 Channel Embedded NVR as per their precise needs. - ALCON 8CH Intelligent Video Analysis NVR 8CH @ 1080P/960P/720P @ 4M Input Per CH, All Ch. Weight (excluding HDD(s) and DVD): 6.67 kg (14.7 lb) approx. We are into supplying, trading and wholeselling of Network Video Recorder for a good quality of CCTV viewing purpouse. 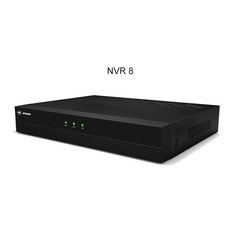 The GVR3550 Network Video Recorder (NVR) offers small to medium businesses and residential users a dedicated and reliable solution for centralized IP video surveillance recording and monitoring.